Global life expectancy has steadily increased over the ages, and, thanks to major advancements in science and medicine, dramatically so during the last hundred years. In 1901 the average UK life expectancy was just 45 years for men and 49 years for women. Yet by 2012 this had risen to 79.2 years for men and 83.3 for women. And, according to the Office for National Statistics, it’s expected to continue to rise by 4.1 years for men and 3.8 years for women by 2032. Whilst this is arguably one of contemporary society’s greatest achievements, our greater longevity is not without its own set of problems. The longer we live for example, the more likely we are to succumb to a chronic disease, such as heart disease and diabetes, which is why so many of us are looking for alternative ways to help boost our immune system and thus prevent illness, often with a particular focus on diet. And we’re increasingly switched on to the benefits of organic superfoods – nutrient-dense foods that have been harnessed since ancient times for their salutary properties. One such superfood that’s currently receiving a lot of attention is moringa powder. Indeed moringa has been treasured for its therapeutic properties since 150 B.C and some 200 Universities and Research institutions and Scientific Journals have published reports about its myriad health benefits. Moringa powder is potent superfood extract made from the leaf of the Moringa oleifera, a tree native to sub-tropical and tropical regions of Africa and Asia. It takes its name from the Tamil word ‘Murugai’, however, it is known locally by a collection of interesting nicknames, such as the ‘horseradish tree’, the ‘drumstick tree’, ‘mother’s best friend’ and ‘the tree of life’. Ayurvedic medicine has harnessed almost every part of the moringa tree, including its flowers, gum, bark, roots and seeds. The Romans, Greeks, and Egyptians too, all used it to protect their skin and purify drinking water, whilst today it is widely cultivated in poverty-stricken nations as a key source of food and nutrition. Antibacterial, antiviral, anti-fungal, antidepressant and anti-inflammatory moringa powder is rich in phytochemicals, protein, vitamins A, B1, B2, B6, B12 and C, and the minerals, iron, calcium, magnesium, phosphorus and potassium. In fact, gram for gram it contains an impressive seven times more vitamin C than oranges, four times more calcium than milk, four times more vitamin A than carrots, two times more protein than milk and three times more potassium than bananas. Not surprisingly the many rewards that can be enjoyed by incorporating moringa powder into our daily are backed by several internationally recognised health institutions, such as the John Hopkins School of Medicine, the World Health Organization, the Center for Disease Control, and the National Institutes of Health. And humanitarian organisations are actively promoting the use of Moringa in developing countries to fight malnutrition and disease. In Senegal and Mali for example, moringa is used to combat rickets, and in Haiti (the poorest country in the western hemisphere), the government has been conducting a concerted campaign for the farming of moringa ever since their country was devastated by an earthquake in 2010 and a hurricane in 2012. Moringa powder boasts a unique balance of antioxidants, minerals, and amino acids, in addition to an unusual combination of zeatin (a powerful antioxidant), quercetin (a flavonoid that can neutralise free radicals and relieve inflammation), beta-sitosterol (a nutrient that can prevent LDL cholesterol from building up in our body), caffeoylquinic acid (a potent anti-inflammatory), and kaempferol (a unique nutrient that encourages healthy cellular function). Vitamin C, which improves our immune system’s ability to fight off microbial infections, helps protect our cells from the damage caused by oxidative stress and stimulates the activity of our lymphocytes and natural killer cells. Vitamin A, which plays an integral role in the manufacture of the white blood cells that fight viruses and bacteria. Vitamin E, an antioxidant that stimulates the production of natural killer cells, as well as b cells, two important antibodies that tirelessly seek out and destroy bacterial infections. Zinc, which is crucial for both the production and regulation of antibodies (the protein produced by plasma cells that is used to identify and render harmless bacteria and viruses). Selenium, which is used in the creation of enzymes and cellular components and also combines with proteins to form selenoprotiens -powerful antioxidant enzymes that protect our cells from damage. Beta-carotene, which is a well-known immunity-boosting nutrient that provides protection against certain types of cancers. According to the NHS, approximately one in six men and one in nine women in the UK currently die from Coronary Heart Disease, also known as Britain’s ‘Silent Killer’. Yet, research demonstrates that moringa powder, which contains three times more vitamin E than almonds (a vitamin E intake of 400 IU can lower the risk of cardiovascular problems by up to 50%) may help to encourage a healthy blood, circulatory and cardiovascular system. A 2008 study published in the ‘Journal of Ethnopharmacology’ for example, indicates that moringa extract can significantly lower blood cholesterol and thus actively reduce the risk of cardiovascular disease. Its antioxidant properties are also believed to help protect our heart cells from the damage caused by free radicals. Diabetes is a life-long health condition that affects more than 3 million people in the UK today. It is caused by excess levels of glucose in the body, triggered when the pancreas is either unable to manufacture insulin, unable to manufacture sufficient quantities of insulin, or when the insulin that is manufactured doesn’t function properly. Moringa powder contains generous quantities of vitamin D, which our pancreas requires to secrete insulin, and vitamin B, which has provided effective treatment for diabetic neuropathy (a diabetic disorder that results from injury to the small blood vessels that supply the nerves). It also contains the antioxidant, vitamin A, which reduces the risk of blindness associated with diabetes. And, an animal study published in the ‘Journal of Clinical Biochemistry and Nutrition’ in 2007, revealed that moringa extract could be used to help manage glucose intolerance in those suffering from this debilitating disease. Moringa powder is an exceptionally versatile superfood and one that is suitable for vegetarians, vegans and all those following a rawfood diet. Try stirring moringa powder into your favourite smoothies, shakes and protein drinks or use it as an additional ingredient in your choice of raw chocolate, cakes and desserts. is non-tobacco and non-inflammable product and it does not have any harmful effects that are often found in traditional smoking. The Blu Cig Review introduces you to the brand of Blu electronic cigarette. Nice write up. People need to wake up to the benefits of moringa. They still seem to be in thrall to kale. 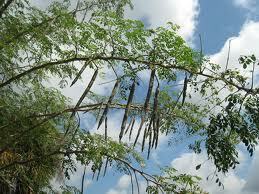 Most people I know still haven’t heard of moringa at all. I first came across it whilst backpacking in India. It grows abundantly there. I was feeling a bit rough and a cafe owner recommended me a moringa tea. Perked me right up. been an advocate ever since.